PLCC’s Automotive Technology program would like to extend a special thank you to local auto dealer and community partner, Tom Alcorn, of Klaben Ford. 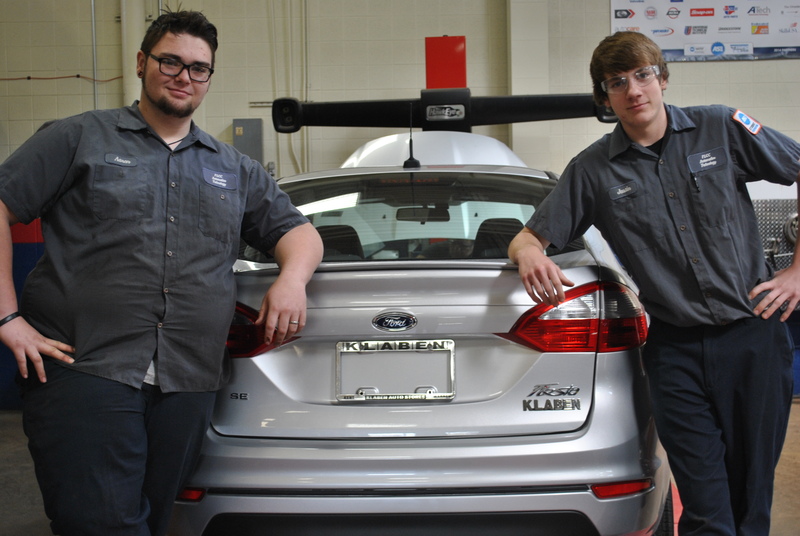 Klaben Ford loaned the Auto Tech program a 2015 Ford Fiesta for two days so that seniors Aaron Taylor and Justin Hartley, both from Coventry, could prepare for the Ford/AAA Student Auto Skills contest in Independence earlier this Month. The young men earned their spot in the hands-on contest by placing PLCC in the top 10 schools in the state with a written exam. 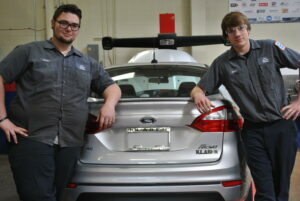 The hands-on contest was comprised of 10 teams of 2 working to diagnose and repair their Ford Fiesta, which was lined up in a row with the other 9 competitors. All vehicles were bugged with the same problems. Each competing team was given a repair order and had to race against the clock to repair as many of the issues as they could.